The script for Septillion To One is apparently based on a true story and it is attracting a lot of interest in the film world. According to Deadline.com, the plot involves an overzealous former FBI agent who has been relegated to the fraud unit of the Texas State Lottery begins investigating a beautiful and shrewd woman who had inexplicably defied all odds and hit the lottery jackpot three times. He realizes the odds are over one in a billion for this to happen, creating a game of cat and mouse with the suspect, with whom he ultimately falls head over heels in love. So who is the winner this true story is based on? it’s believed that the screenplay is based on Joan Ginther (right) who made headlines around the world by scratching off the words '10MILL' on a $50 instant ticket in June 2010 to win her fourth multi-million dollar prize. Ginther was thought to have bought a total of 80,000 tickets worth $2.5 million or more. Philly.com reported that skeptics wondered if she cheated or had an ingenious system for pinpointing winners. After all, they say, Ginther received a Ph.D. from Stanford and has lived for years in Las Vegas. News reports at the time, citing mathematicians, fueled the fire. They put Ginther's chances of four such wins at 1 in 18 septillion - hence the name of the screenplay. Remarkably, all four of her winners were purchased in or near her tiny hometown of Bishop, Texas. The mystery has only deepened since then because Ginther, now 69, has steadfastly refused to grant interviews. And the Texas Lottery has never investigated, insisting they never even asked Ginther how she won. This is an often-claimed photo of the reclusive Joan Ginther, but it has never been confirmed. The script was bought by Oddlot Entertainment, and producer Gigi Pritzker is enthusiastic about the spec script, stating, "[Producers] Linda [McDonough] and Tom [McNulty] brought us this contemporary romantic comedy that kept us riveted and entertained until the end." Pritzker says, "This is a smart script, based on a true story out of Texas, has commercial viability with a slew of A-list talent and directors already interested." So what was the success of Joan Ginther's strategy? Did she do anything different to the rest of the world's lottery players? Not much. In fact she probably used one of the Silver Lotto System's main strategies: Volume. Based on statistical analysis and data obtained through requests made under open government laws, investigator Peter Mucha found that Ginther purchased approximately 80,000 lottery tickets. 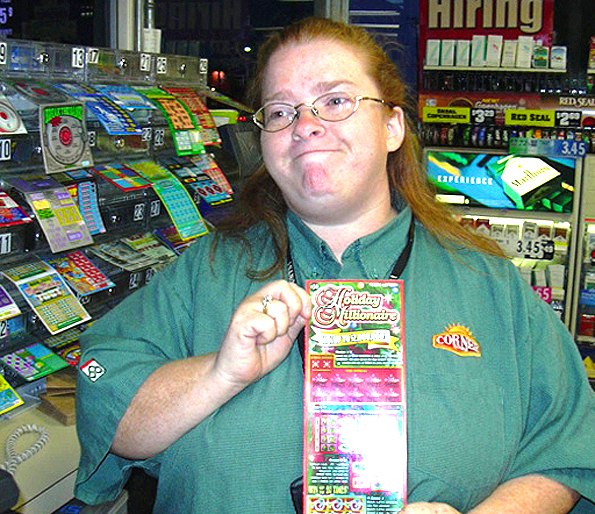 Including tickets bought by her friend Morales, Ginter appears to have spent as much as $3.3 million on at least 100,000 scratch-off lottery tickets. How did she acquire that vast amount of funding? Ginther already had a big lottery win in 1993 — that paid her $270,000 per year in annual checks. To a large extent, she was gambling with 'found' money. It gets better. 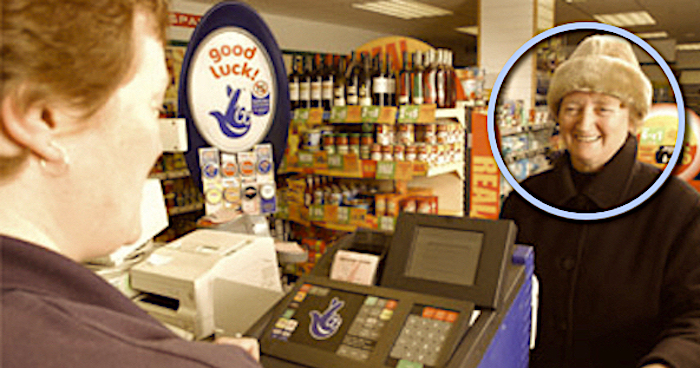 The IRS allows lottery losses to be written off on tax forms against lottery winnings. Mucha calculates that the $3.3 million Ginther apparently spent on lottery tickets may have actually cost her only about $1 million. This was due to the generous subsidy from Uncle Sam and the fact that many of her tickets would have won small prizes of a few bucks, which Ginther likely pumped back into the purchase of more tickets. 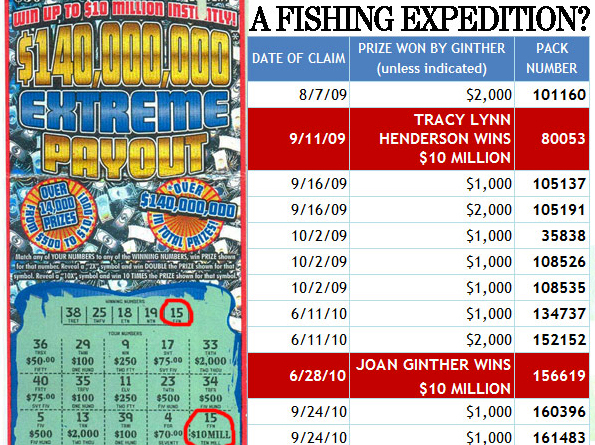 According to Philly.com, a high rate of return on Texas scratch-off lottery tickets also factored into Ginther’s incredible run of good fortune. 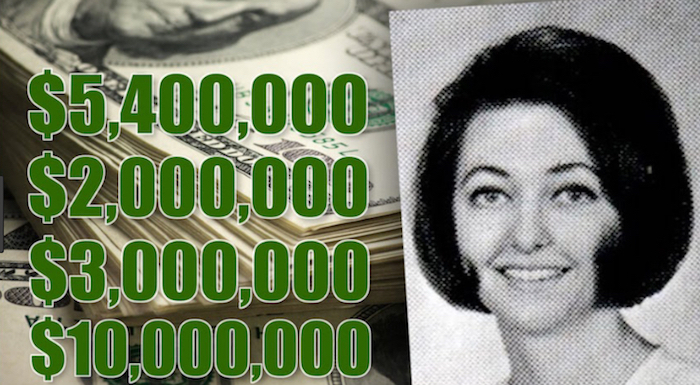 To read the entire Peter Mucha investigation of the extraordinary lottery career of Joan Ginther, 'Lottery Legend,' visit Philly.com. Was $967,000 The Highest Amount A Player Has Spent On Lottery Tickets?